The medium sized bag has a front pocket for mobile and another zippered pocket for trinklets. This bag has 2 zippered main compartments giving ample space for office going ladies. Some attributes are as follows: Two main compartments seperate office and personal items. Front mobile pocket. Sling for hands free carrying. By keeping the track of the latest market trends, we are engaged in manufacturing and supplying an exclusive range of Corporate Office Bags. Being a foremost organization in this industry, we are actively engaged in offering the finest quality range of Spacious Office Bag. Best quality , budget price. 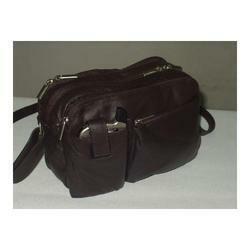 Keeping in mind the vast necessities of the patrons, we are engaged in providing a wide range of Office Bag. 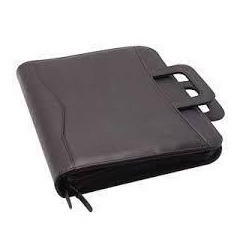 Specifications Size: 15" x 13" + 4"
We are a reputed entity in the industry, actively engaged in offering an optimum quality range of Customize Office Bag. We are manufacturer & supplier, It is available in various colour & as per standard size. We offer our client the product Office Confernce Bags .We have gained international acclaim due to our strict qualitative and aesthetic parameters in the manufacturing of these products. We offer a distinct range of cloth bags - white & green that is created with premium quality raw materials.